His mom is having a hard time dealing with it and they both could really use some Blogville POTP and prayers. Oh no, we're so sorry to hear this! Such a hard thing for a pawrent to hear. We send out POTP!! 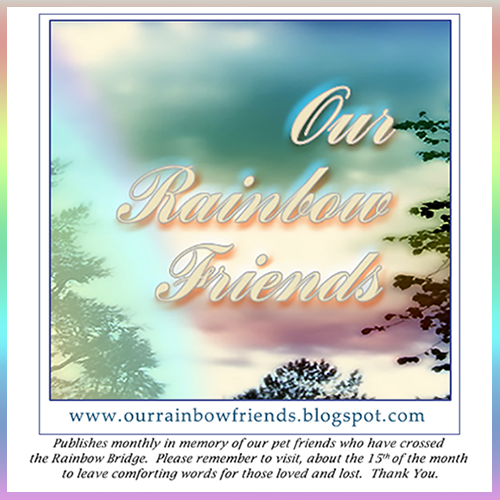 Mom Kim here - I have been by Rumpy's blog - his mom Jen is doing well for having to go through this by herself. Lady Shasta sends Rumpy POTP and her Beagle aroooos for good health - I am sending Jen prayers, strength, comfort and hugs. We went through this with Kyla and Kenzie and we NEED a cure for "C". I'm so sorry, Thoughts and prayers for Rumpy and his mom. Will add rumpy and mom to my prayers.